Keith Noyahr, the deputy editor of The Nation newspaper in 2008. However, sources pointed out that the main culprit, who orchestrated the attack against Noyahr, continued to remain in the government, serving as a senior minister in the Yahapalanaya government. Nohayr, was abducted on May 22, 2008 near his residence, when he was returning home after work. He was severely beaten by the abductors and also received injuries to his head. 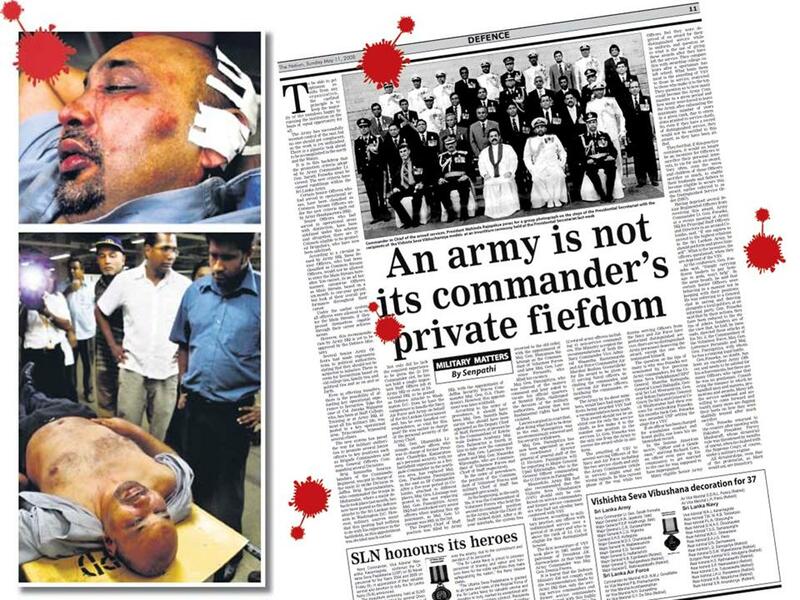 Noyahr was abducted just days after he wrote an article in the ‘military matters’ column published on May 11, 2008 in The Nation newspaper titled ‘An army is not its commander’s private fiefdom’ which was critical of Fonseka, who was the then Army Commander. Fonseka, now serves as the Cabinet Minister of Regional Development in the coalition government. Before coming to power, both President Maithripala Sirisena and Prime Minister Ranil Wickremesinghe pledged to bring the culprits to book, including those behind the assaults, abductions and murders of journalists, that occurred during the tenure of former President Mahinda Rajapaksa. However, since coming to power, Sirisena has been critical against the arresting and remanding of military personnel behind several of these incidents including the high profile murder case of Lasantha Wickrematunge, the editor of the Sunday Leader. In October, under pressure from Sirisena, the Mount Lavinia Magistrate released Army Intelligence Officer Premananda Udalagama on bail despite his involvement in Wickrematunge’s assassination.